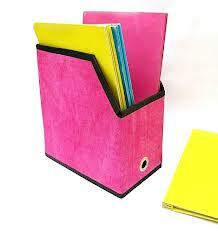 Keep the files that create mess in the room by spreading here and there in an arranged manner with a file holder. Holders that are designed to store the files in a systematic way find wide applications in homes, offices and other places to avoid the problem of cluttering. Jute file holders have become the first and foremost choice of those who want an eco friendly solution to keep their files arranged. Jute File Holders designed from jute are available to provide the user with a better option to store their files along with enhancing the beauty of the space. They are manufactured from the organic material to add natural features to them. These jute file holders are a blend of high utility and beauty that provide a long lasting impression on the guests with elegance and style. They are highly durable and strong that ensures their long lasting life as well as performance with no maintenance. Compact in nature, jute file holder can be kept any corner of the interior. They are light in weight, handy as well as portable that make a user able to take them anywhere with him or her. After use, they can be folded easily without any wear and tear. 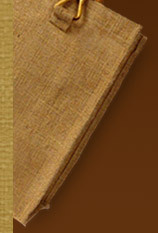 As jute file holders are designed from the natural fiber, they are 100% environment friendly and biodegradable. A user can decompose them when they are in no need. With their eco friendly nature, they help in keeping the environment safe and clean with no pollution. These highly valued holders loaded with unique features are available in plethora of shapes, designs and styles. Jute file holders are manufactured in simple as well as decorative styles. To meet the different demands, they are available decorated with bamboo sheets, as well as other material. Besides natural look, they are also embroidered, painted and dyed in various vibrant colors.